Retail giant Woolworths is preparing to sell a circa $180 million collection of neighbourhood shopping centres throughout Australia as part of its ongoing capital management program. The CBRE Australian Retail Investments team has been exclusively appointed to market the six Woolworths anchored properties, which comprise a mix of recently completed and partially developed retail assets in Queensland, Western Australia, Victoria and the Northern Territory. CBRE’s National Director, Retail Investments, Peter Rossi said the sale campaign was expected to generate significant interest from local investors, syndicators and institutions seeking to secure the assets either as a portfolio, individually or a combination of the Woolworths assets on offer. “Woolworths’ shopping centre development program has been extremely successful due to their astute site selection, pragmatic and practical design philosophy and the very high standards and finishes they have included in all of their new projects,” Mr Rossi said. Up for sale are assets at Cornubia in Queensland; Mandurah and Dalyellup in Western Australia; Bakewell in the North Territory; and Seville and Selandra Rise in Victoria. Three of the centres were recently completed with the remaining three to be sold by way of a development management agreement. All of the assets are secured by long term, 20 year lease backs to Woolworths and the leasing on the support tenancies is strong as all of the centres on offer are situated in high growth corridors with very strong demographics. 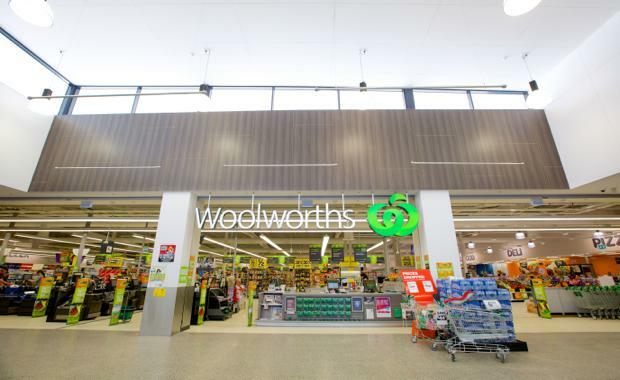 Woolworths has divested more than $2.8 billion of property assets since mid-2010, including the creation of the Shopping Centres Australasia Property Group in 2012 and the sale of 54 freehold properties by ALH Group Pty Ltd in September 2014. Expressions of Interest in the national neighbourhood centre collection being offered by CBRE close November 26, 2015. The sale campaign coincides with continued strong interest in neighbourhood shopping centre opportunities. Recently issued CBRE data highlights that $1.1 billion in neighbourhood centres changed hands in the first three quarters of 2015 – 24% up on the corresponding period last year. “The current market for retail investments is the strongest we have seen for over a decade,” Mr Rossi said, adding that neighbourhood centres were being actively targeted, with private investors leading the charge.